Ritmo Sereno have been churning out custom BMWs since the early 2000’s. The phrase ‘before it was cool’ should only be uttered if you’ve just burnt yourself on – for example – a piping hot, soy flat white. Using it in any other instance will generally signal to anyone within earshot that you’ve recently paid too much for the ripped denim vest you’re wearing. However, those in the know might assume you’re talking about a modified ‘R-series’ BMW from Japan’s Ritmo Sereno. Probably not though. 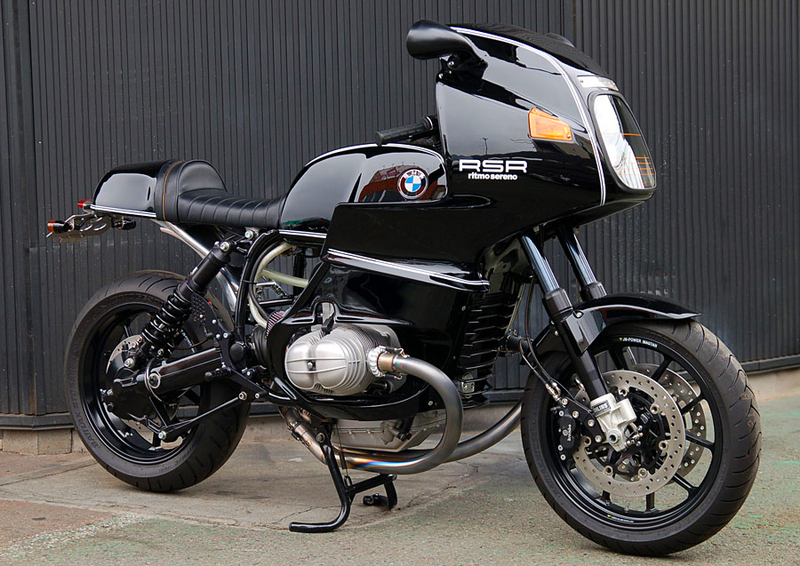 If you’ve looked at any custom bike/cafe racer centric website in the past year-or-so, you will have no doubt encountered a plentiful supply of modified R-series BMWs. It seems that, as the supply of Honda CBs dwindled, attention shifted to these often staid, dependable old steeds. 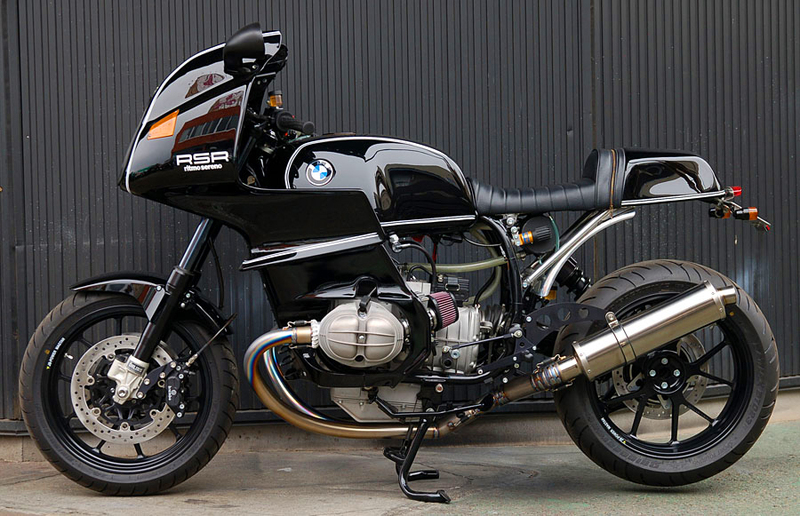 Ritmo Sereno on the other hand, have been churning out custom R-series BMWs like this modified R100RS since the early 2000’s, and as you can see, there aren’t many who can do it better. 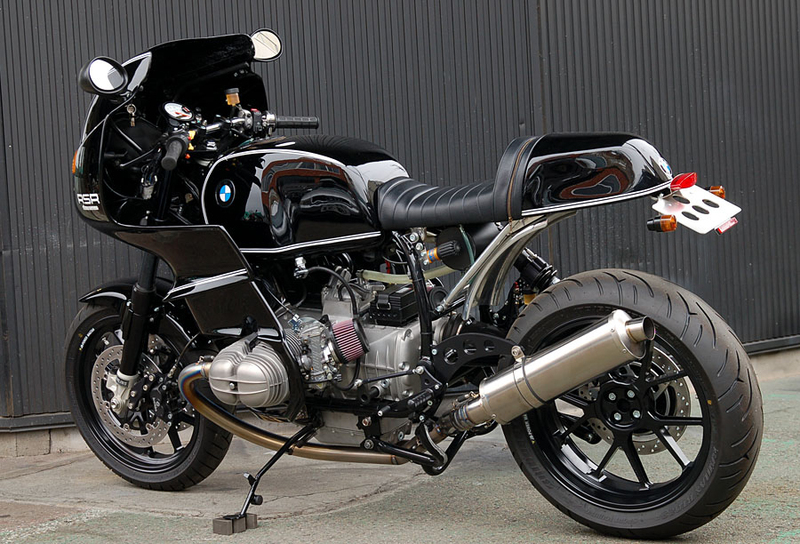 Ritmo Sereno modified the donor R100RS’ complex, nine-part fairing along with pretty much everything else. For this build, Ritmo Sereno started out with BMW’s R100RS, the marque’s first attempt to get rid of the ‘old man image’ that was hanging about in the 1970’s. While the standard bike had an impressive top speed of over 200km/h, twin disc brake front-end and modern (for the time) suspension – things have moved on since then. Stock, the 980cc ‘boxer’ twin pushed out just over 50kW at 7000rpm and almost 80Nm of torque at 6000rpm. Ritmo Sereno’s R100RSR on the other hand has been turned up a notch-or-two. Everything has gone under the Japanese firm’s deft scalpel. The original Bing carburettors have been turfed for FCR flat-side jobs, which alone would have liberated some extra German ponies. Things weren’t left there, though. The 980cc boxer was treated to a pair of lighter, forged pistons and a hand-made titanium exhaust system which forms one of the bike’s best features. The bike’s titanium exhaust system and detailing on the 980cc boxer are breath taking. Staying at the back of the bike, the ‘RSR has ditched BMW’s bulky rear subframe for a hand made alloy unit which holds the single seat, custom oil tank and classic rear hump. That rear hump isn’t just a ‘pretty face’ either, as inside is a glove box and room for tools. 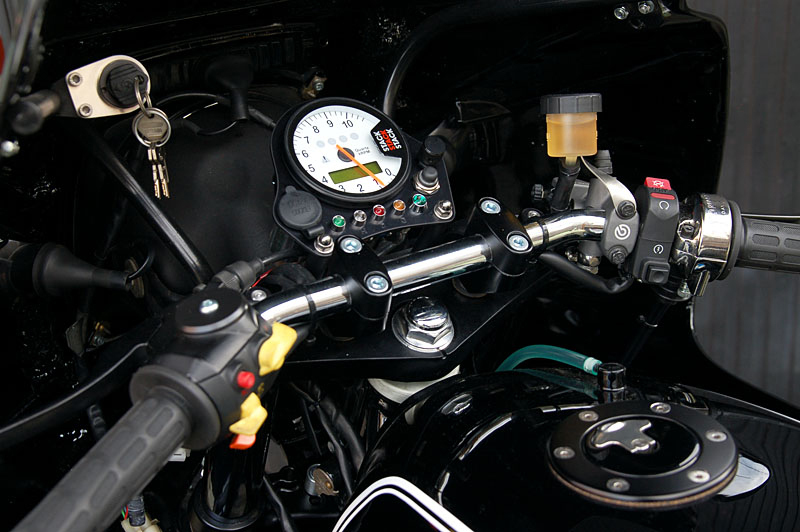 The standard R100RS swing-arm and shaft drive set-up have been replaced with a unit from a more modern R1100 series bike, which bring about a few benefits. Not only does the newer unit lower the bike’s final drive, it allows larger, stickier tyres to be fitted and also brings a Brembo brake unit along for the ride. R1100 derived swing arm and rear wheel allow more modern rubber to be fitted and brings a Brembo brake set-up along for the ride. Moving up front, Ritmo Sereno has ditched the spindly BMW forks for Ohlins units and replaced the twin piston brake callipers for four piston Brembo jobs. The 19 inch front wheel has also been swapped out for a 17 inch rim, allowing modern rubber to be fitted, matching the one out back. A staple of Ritmo Sereno bikes are Stack dashes and the ‘RSR is no different. I told you everything had gone under the knife. Stack dashes feature on all of Ritmo Sereno’s bikes. Note the USB socket next to the tach’ and upgraded switch block. All pictures courtesy of Ritmo Sereno.